According to the National Survey on Drug Use and Health, only 10.8 percent of the 21.7 million people who needed treatment for substance abuse in 2015 actually received it. Various factors prevent addicts from seeking help, including cost, not being ready to quit, addiction stigma, etc. Another major factor is the inability to leave work for weeks at a time, especially for professionals in high-stress jobs. And with 76 percent of addicts being employed, many fear that seeking treatment will hurt their careers or get them fired. However, there are rehab options available for working professionals. And it’s important to remember that if you don’t seek treatment, your work will eventually suffer. Even worse, you may lose more than just your job: your relationships, finances, health, and life are on the line as well. When you hear the word “addict,” the image of a high-powered executive or working professional probably doesn’t come to mind. But even career-driven individuals are vulnerable to biological factors, peer pressure, and stress. In fact, high-pressure work, deadlines, and rigorous schedules can contribute to a substance abuse problem. And because addicted working professionals likely have an extreme fear of discovery, their struggles may go unnoticed for longer, intensifying the problem. Fortunately, many treatment facilities offer less intensive programs for working professionals. This allows more time for work, friends, and family. Outpatient treatment programs may provide customizable schedule options, like evenings, weekends, or even lunch breaks. Patients in outpatient therapy can maintain their normal routines and responsibilities while still participating fully in recovery. This may include attending counseling, therapy, and 12 Step support group meetings outside of work hours. There are even support groups specifically for working professionals. At these meetings, recovering addicts can share similar experiences and struggles with like-minded individuals. However, outpatient treatment isn’t for everyone. When the substance abuse issue is severe, more intensive inpatient treatment may be necessary. If inpatient treatment is essential, try finding treatment tailored to the unique needs and stressors of working professionals. In such programs, it’s accepted that work-related stress may be a factor. Therapy will focus on life skills and healthier coping mechanisms for managing stress and maintaining a healthy work-life balance. Many also offer support for returning to the pressure of the professional world. Often, people struggling with substance abuse feel that they’ll lose their jobs if they seek treatment. But addiction is considered a legitimate illness, so there are laws in place to prevent employees from being discriminated against or fired for addiction. Under the Americans with Disabilities Act(ADA), once you’ve entered a treatment facility, you can’t be fired for reasons related to your addiction and recovery. And with the Family and Medical Leave Act(FMLA), employees are permitted to take 12 weeks of medical leave for reasons that include addiction. It’s important to note, however, that FMLA leave is typically unpaid. You may be able to apply for disability benefits until you’re able to return to work after treatment, but this process can be challenging. 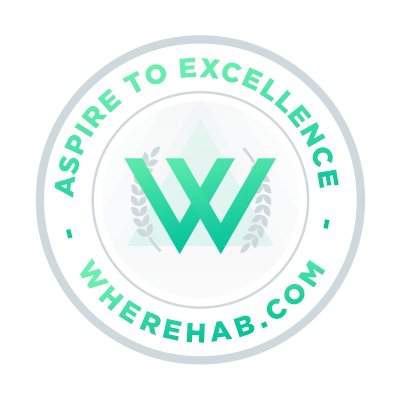 As you can see, rehab for working professionals is possible, and you have a variety of options at your disposal. If you’ve made the decision to seek treatment, you first need to talk to your employer. Even if you feel your schedule won’t be affected, honesty is the best policy in this situation. Information you share with your employer is confidential, and if your employer has already approached you about declining performance, your honesty can protect you. Employers are often required to allow employees to attempt recovery before firing them. Before meeting with your employer, gather information about your rights, your company’s drug and alcohol policy, insurance coverage, and medical leave policies. You may want to stress to your employer that a desire to improve work performance is one motivating factor in your decision. If addiction is negatively impacting your life, nothing should stop you from seeking the treatment you need. Recovery will improve not only your health, finances, and relationships, but your career as well. And the longer you wait, the more your performance at work may suffer. Rehab for working professionals isn’t impossible. There are tailored treatment plans and schedules available, and you have rights protecting you in the workplace. Seeking treatment now is what’s best for both you and your career. To find out more about treatment tailored to working professionals contact one of our addiction specialists at 1-888-249-2590 or click here.